Description: Two-way bass-reflex bookshelf speaker (not magnetically shielded). Drive-units: 1" soft-dome tweeter, 4" structured-surface cone woofer. Frequency range: 55Hz–20kHz. Nominal impedance: 6 ohms. Sensitivity: 85dB/2.83V/m. Maximum input power: 80W. Crossover frequency: 3kHz. Dimensions: 12 9/16" (320mm) H by 7 1/8" (180mm) W by 8 7/16" (215mm) D. Weight: 9 lbs 2 oz (4.1kg). Serial numbers of units reviewed: LNV004559VC (auditioning), LFNV0082030C (measuring). Price: $159.99/pair. Approximate number of dealers: 50+ (plus Best Buy). Manufacturer: Pioneer Electronics (USA) Inc., PO Box 1540, Long Beach, CA 90801-1540. Tel: (800) 421-1404. Web: www.pioneerelectronics.com. Size matters - do we buy the biggest baddest speaker or choose what suits? 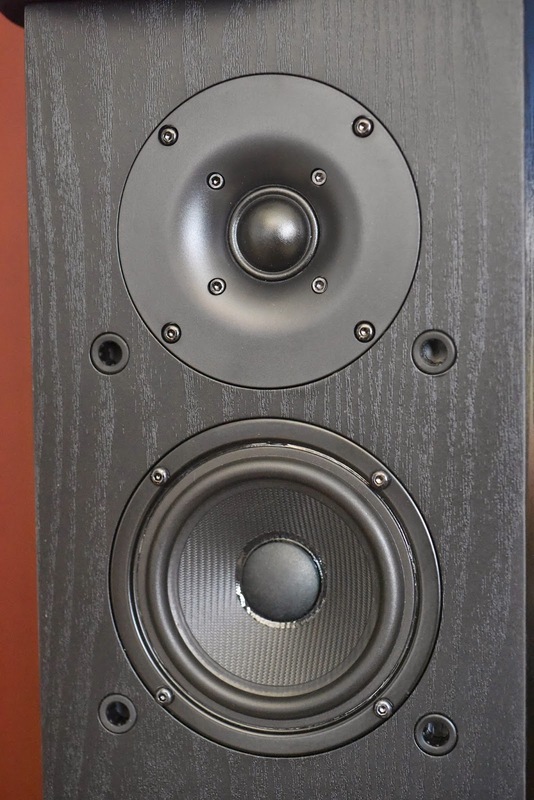 Our eyes, and our budget can allow us to buy really sweet and large floorstander speakers which are actually too big for our rooms. Then there's a lot of room treatment that needs to be done. Actually many have also found that a good sized surround instead of a tiny one makes all the difference. This speaker definitely benefits from a larger cabinet. The centre speaker and sub are the lynchpin of HT and carry most of the signals. Avoid buying the small WAF ones that can't do male baritone voices. This amp is almost identical to last year’s model, the 4000 and the new feature most are looking at will be Atmos, the potentially game-changing new sound format that promises to bring home theatre to a whole new level (pun intended). So it has 7 channels of amps, pre-outs to allow 9 channel processing, Audyssey XT 32 and Sub EQ as well as lossless sound formatting. The iPod is the ubiquitous portable player of any budget, and has the lower end market pretty much sealed up. But what if you are a discerning audiophile that wants to have go at something that plays your lossless music with the same resolution and definition you are accustomed to at home? For those in this position, there are many options that will cost many times the price of that iPod, and will need better cans or IEMs than those commonly associated with the iPod, but here we have one of the more premium ones in the form of the Astell & Kern AK240 HD-audio player. It offers DSD playback, a micro SD slot, 256 Gb of hard disk space, and a balanced output as well as the usual 3.5mm headphone out. The DAC uses a Cirrus Logic CS4398 chip.